I wanted to take a somewhat different approach to the challenge. Sometimes, my brain just looks at things differently. LOL I've had a lot of "new beginnings", and I know they sometimes mean separating from or leaving close friends or family. Sometimes, it's us leaving to start a new chapter in our lives. Other times, it's people close to us that move on. It could be one of our kids going off to college, a co-worker moving on to a new job opportunity, or a friend moving away. There are a number of "new beginnings" one might experience in life. Often, these events bring not just excitement but also a little sadness. 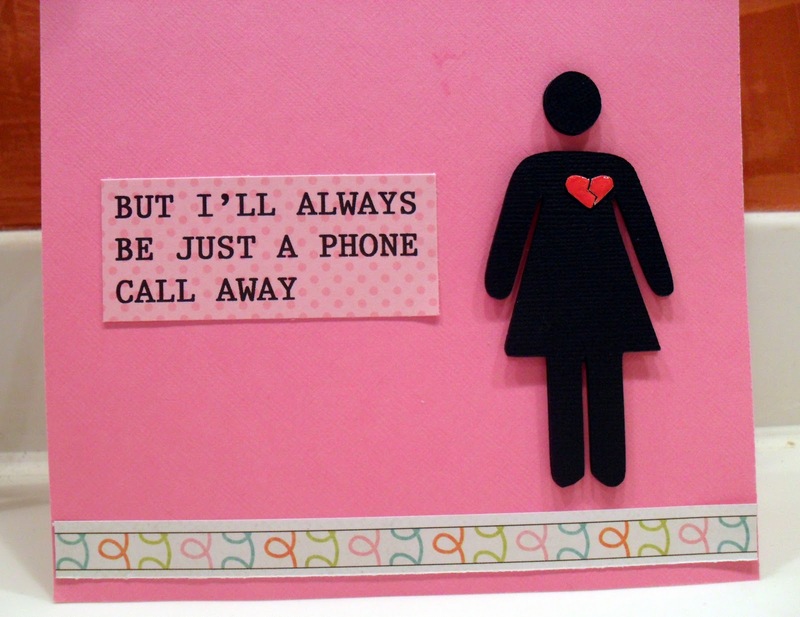 My goal with this card was to convey not only the emotion one feels when someone leaves us to embark on a new journey, but also the PEACE that comes with knowing that a simple phone call can bridge the distance! 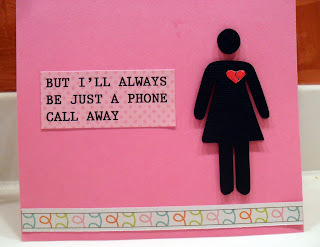 The cute phone print paper is by My Mind's Eye (Call Me) and goes perfectly with the theme of my card! Given the message of this card, I wanted to be sure to keep the colors bright and fun as I didn't want the overall mood of the card being too heavy (sad). Having a window is one of the requirements for our first challenge, so I used Make-the-Cut to do that for me. I also used MTC to cut out the woman symbol. I almost always have some sort of dimensional element on my cards. I like to sometimes cut images twice and pop-dot one on the other. You can see that in the third picture above (side view). I hand-cut the little heart into two pieces, symbolizing the sadness one might feel in a situation like this. It's difficult to see in the photo, but I used one of my favorite things on the heart: Glossy Accents. 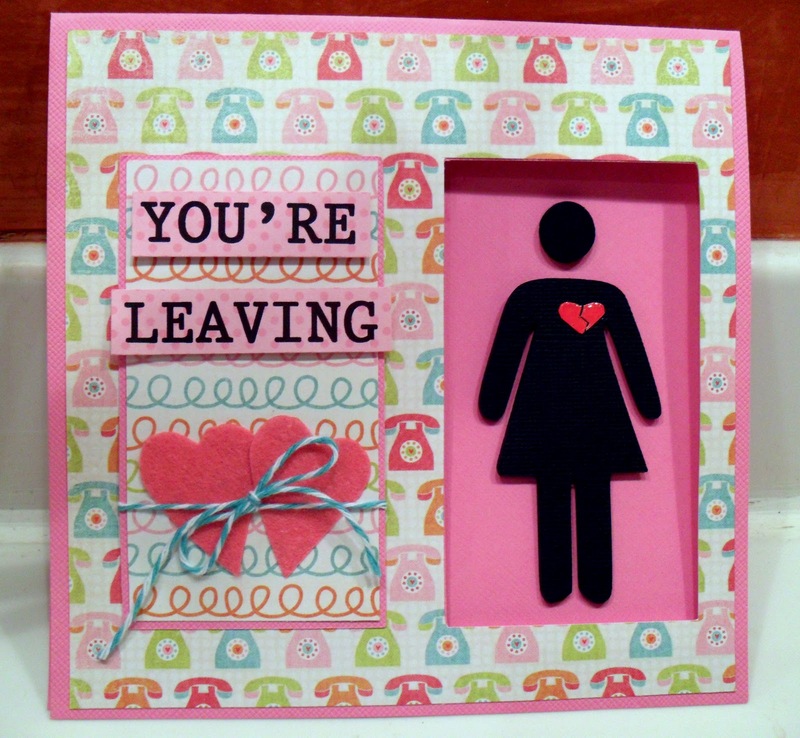 The pink, felt hearts were cut from a Sizzix Sizzlits die. I then tied some pretty twine from The Twinery around the hearts. The sentiment was done with a word processing program using a typewriter style font. I love the versatility of using my own fonts to create sentiments! I hope you enjoyed viewing my first project as a Garden Girl for Friendship's Garden. Thanks so much for stopping by. I hope you take the time to enter our first challenge for a chance to win! There are several ways to earn an entry with up to FIVE possible entries. 1) Visit each of the DT members' blogs and then return to Friendship's Garden Challenge Blog and comment, letting us know you visited each DT member! 2) Visit both Designs on Cloud 9 and Altered Angel . When you comment on the Friendship's Garden blog, leave a second comment, letting us know you visited both sponsors and earn a second entry. 3) Like our page on FACEBOOK and comment on our blog to let us know you are a new follower. If you are already a follower, let us know you already follow us. 4) Become a follower of the Friendship's Garden Challenge Blog. Leave another comment telling us you are now a follower and get a fourth entry. If you already follow our blog, just let us know you already are! 5) For a fifth entry, submit a project in our first challenge! As you can see, it's easy to get at least several entries to win! How easy is that?!?! YAYYY!!! Thanks again for visiting. 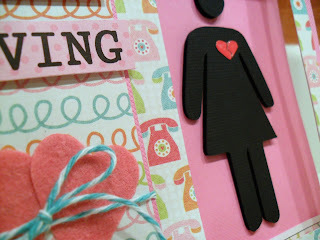 Please hop on over to Ciska's blog next to see what she created for this challenge! ALOHA! So cute! I love the sentiment. 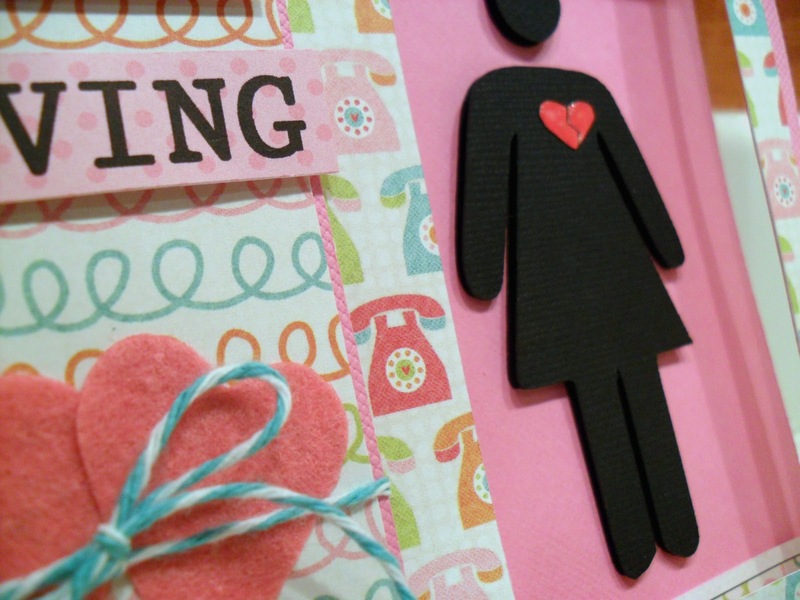 Great card love your sharing your though process with us. I am already a follower Good luck with the new adventure. Great card !! I came over on the hop from Friendship Garden !! Thanks for sharing !! I'm now your newest follower..
Really, really fun and cute card, i like the way you created it. I just love the idea and the the design on this card, fun one. Great job on the challenge. love the card! so fun! This is great! I love how you do the image twice when you pop dot it!